Don’t we all love our space and comfort zone. Similarly, babies also develop a sense of belonging as early as their birth. The way they start recognising their mom and dad similarly they start identifying their own space and comfort places. As much as I wanted my little baby to be in my arms all the time especially at night, I knew it wouldn’t be a good option for him in the long run. So with a heavy heart I decided to go ahead and plan his nursery. Since we did not to know the baby’s gender we decided on neutral shades of sunshine yellow and bright orange. We made a comfortable niche for him and he loved his first year in his nursery. Thereafter there was no looking back. Once, we moved into a bigger pad, we asked him for his choice for the colour of the walls. He chose a yellow and blue. Natural Paints – We found it a bit hard to get hold of natural paints. So we went ahead with lustre. They say they are less harmful than the other paints; however I cannot vouch for that. One major benefit of lustre is that it is really easy to clean and maintain. As the baby grows older they want to write and make a mess all over including the walls, lustre is life – saving. Just wipe it with a damp cloth. Furniture – Go with baby friendly and colourful furniture. They should feel happy about being in their room. It should appear bright and vibrant. 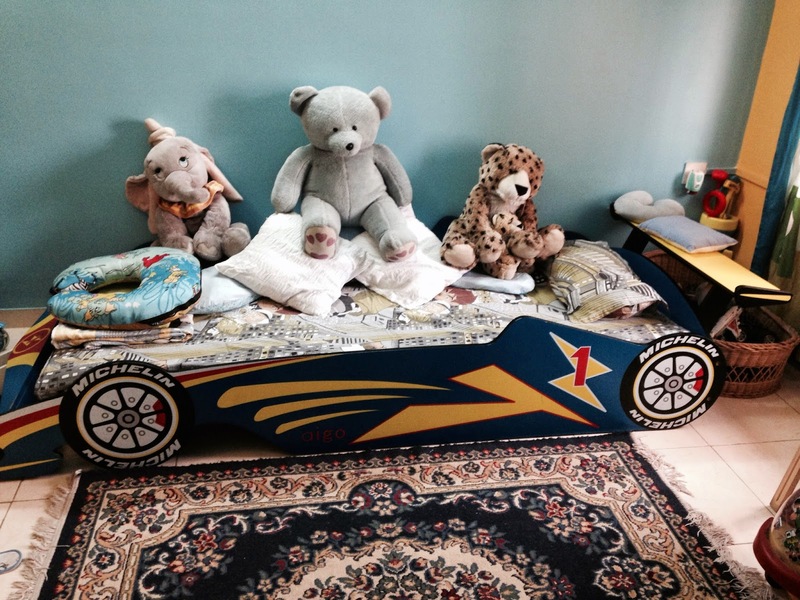 My son adores cars so I ordered his bed online. It is in the shape of a car and he loves sleeping in it. 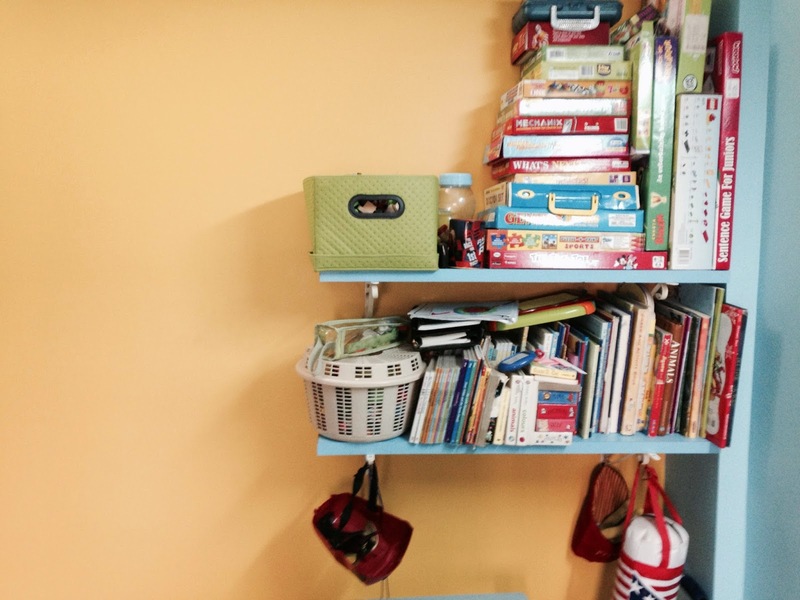 Keep it Clutter Free – It’s easier said than done right? Try and keep it as spacious as you can. Keep one odd wall free as the coloured wall will add brightness to the room. I haven’t planned storage as yet, waiting for him to grow older so that can understand his interests better. Design and Layout – If your budget permits go for your child’s favourite cartoon character and do a wallpaper. I couldn’t even think of it as my son kept changing his favourites. Sometimes it was Noddy, sometimes Ben 10, Superman etc. lollzz. You could the glow moons and stars or even of their favourite character. Linen – Since my son sleeps in his room from the second month, I always made sure his bed was nicely made up. I would pick up bright colourful cartoon prints which I knew he would love sleeping on. 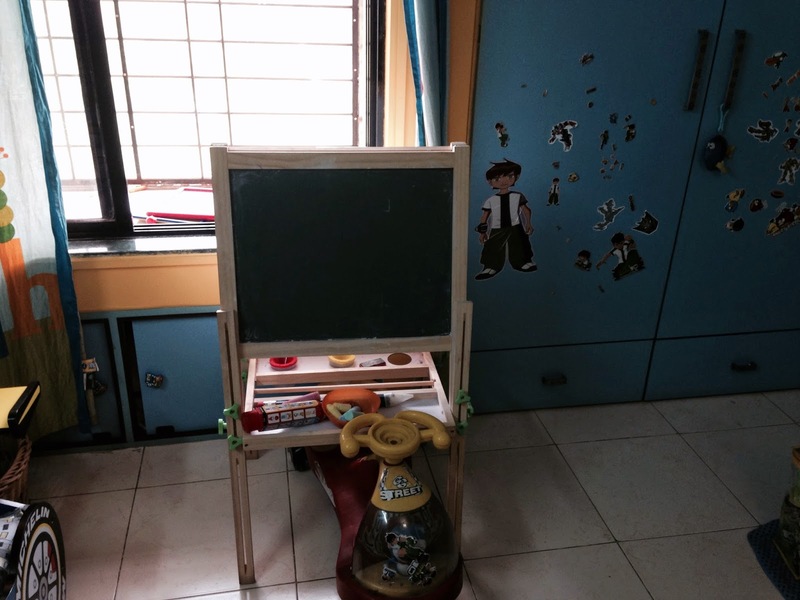 Pictures – I put up a digital photo frame in his room which has pictures of all his loved ones. He enjoys watching the pics and asking me to relate stories about them. The idea is to create a special niche which gives them a sense of belonging to their room. It could be even one distinct piece of furniture or a bright night lamp, some of their favourite soft toys. My son loves to read so I got two shelves put up dedicated to his favourite books and board games. Also make sure you add some comfortable and easy seating for yourself. You too are going to spending time with your kids there so enjoy it. Did you guys go crazy planning your baby’s nursery? I thoroughly enjoyed it and keep looking for new stuff to add to my son’s room. Previous Post Some Chic Ways To Cover Your Swim Wear!